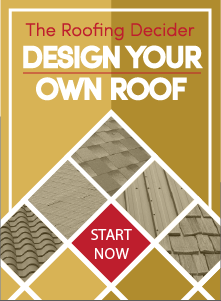 Although roofing materials differ vastly in terms of quality, every roof wears down over time. As a homeowner, you can extend the life of the roof on your Elk Grove home through routine inspections and maintenance. Most Elk Grove roofers, such as the contractors at Straight Line Roofing, are able to come to your house to perform a roof inspection of your roof. This can reduce the risk of developing problems and slow the effects of wear and tear.There are many things that can go wrong with your roof and regular inspections can find them before they become a major problem. When you don’t catch these problems in time, they can become costly ones that may result in the need to replace your entire roof. If any of these issues are noticed during an inspection, they can be taken care of promptly in order to prevent further damage. Your Elk Grove roofer will look for obvious signs of deterioration: discolored streaks and other signs of mold growth, missing or cracked shingles and overhanging trees that can cause damage. Depending on what type of roofing material you have, you might need to have more maintenance done. A roof made of wood shingles must be thoroughly cleaned in order to prevent pine needles, leaves, and other debris from causing it to rot. Asphalt roofs must be kept free of debris, so that the asphalt will not deteriorate. Metal roofs are typically low-maintenance, but they should be checked for signs of rust or corrosion. Clay and slate roofs also don’t require as much maintenance, but any work that is done on them must be done carefully, since these materials can crack or break fairly easily. A professional from Straight Line Roofing can ensure that your roof is properly maintained, no matter what kind of material it is made from. When you are ready to schedule routine inspection and maintenance on your roof, contact Straight Line Roofing. We will take care of checking your roof’s condition and maintaining it in order to help it last longer and provide better protection for your home.